Even if O.J. SimpsEon is paroled at his hearing on Thursday, he will be walking out of prison and into his next legal battle. If paroled, Simpson would be released on Oct. 1. That would be more than eight years after he was found guilty of armed robbery, kidnapping and other charges related to his taking sports memorabilia at gunpoint from a hotel room. In 1995 he was found not guilty of murdering his ex-wife Nicole Brown and her friend Ron Goldman. If he is going to be out on October 1, we will be there on October 2, attorney David Cook, who represents Goldmans father, Fred, told Fox News. In 1997, the Goldman family won a civil judgment in a wrongful death suit against O.J., and with accrued interest that total is up to $52 million. Your loved one is gone and your sense of loss increases, not decreases, Cook said. That loss never escapes you. In the case of the Goldman family, the civil judgment is the justice you seek. The Goldman family has gotten some of that money from O.J. via rights to his controversial book I Did It, and money from movies, the sale of his home and even some of his golf gear. Cook said he is confident there will be more money to seize. Everybody in this country knows him, he said, It is a certainty that he will attempt to monetize his name; through TV, through pay for view, through any other means. It is a free country, and that is his only way to make money moving forward. Once he does that, we are ready to pounce. The good news is he is getting out, the bad news (is) I am in good health and I am there looking for the money he owes. However, Cook acknowledges that if O.J. does get out and decides to live off his current resources, we have to come to grips with the fact that money will be tough to get from him. 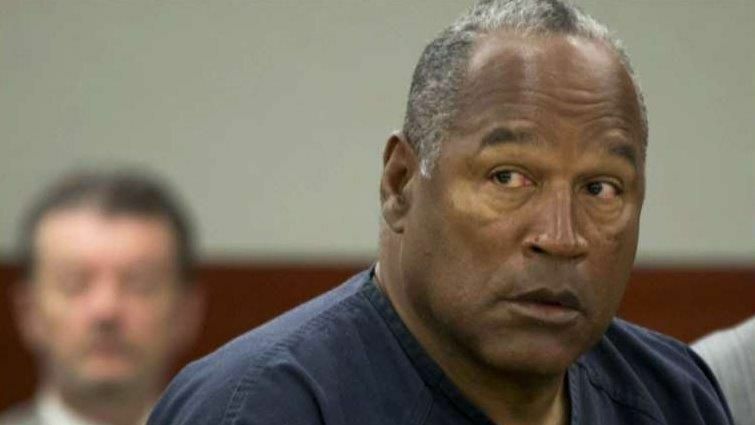 One thing the Goldman family will not be able to touch is O.J.s NFL pension, currently valued at just under $3 million, according to some reports. Pensions are bullet proof, Cook said. Absent divine intervention, they are nearly impossible to topple. This is frustrating. Cooks take on the O.J. murder case? We are all strangers in O.J.s strange land. All of us. When he was acquitted, it was a new world. Criminal defense lawyers started talking differently, judges started talking differently, people watching the trial on TV started thinking differently. There isnt a big case where a judge isnt thinking they dont want another O.J. circus. When asked if he thinks Goldman will see any, if not all, of the money O.J. owes the family, he simply said Amazon sells crystal balls. I ordered one and am waiting for delivery. According to the Las Vegas parole board, at the conclusion of Thursdays public hearing, panel members will deliberate in private, then the public hearing will resume and each member will vote on the record. A majority of four of the seven members is required to reach a decision to grant or deny parole.